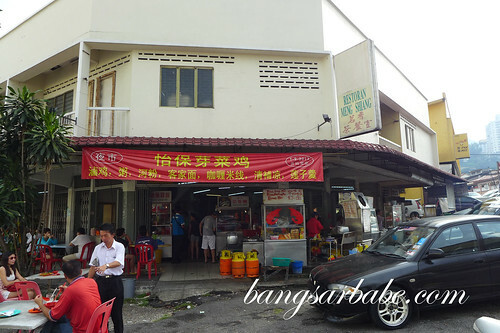 Restoran Meng Shiang in Taman Yulek is said to serve good char siew wantan noodles. 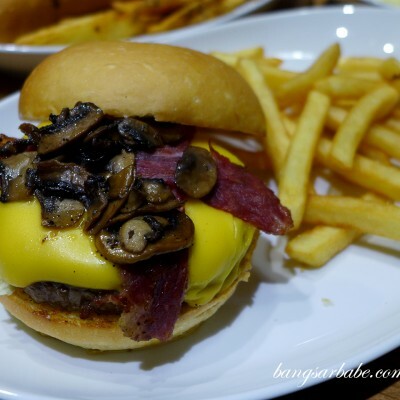 Friends have raved about it and some even claimed it tastes better than the one at Koon Kee. On a Saturday morning, the place is packed with patrons and most of them were waiting for their char siew wantan noodles fix. I placed an order for a plate and waited more than half an hour before I got my noodles. The stall is manned by an auntie and her children. They also run the stall selling char siew, roast chicken and roast pork with rice. That’s also pretty popular with the crowd. The noodles (RM4.50) looked and smelt promising. I asked for pun fei sau (half lean and half fat) and the char siew was just that. It had a good balance of fat and meat, with crisp charred edges. The noodles were cooked just right and retained a springy texture throughout. I also liked that there was little alkaline taste in it. Often, the sauce for wantan noodles is salty and one-note, but the stall at Meng Shiang got the mix right. It was aromatic from the sesame oil with a good balance of dark soy sauce, special gravy and porl oil. Good stuff! The wantan was pretty standard; I didn’t think too highly about it but it made a good accompaniment to the noodles. 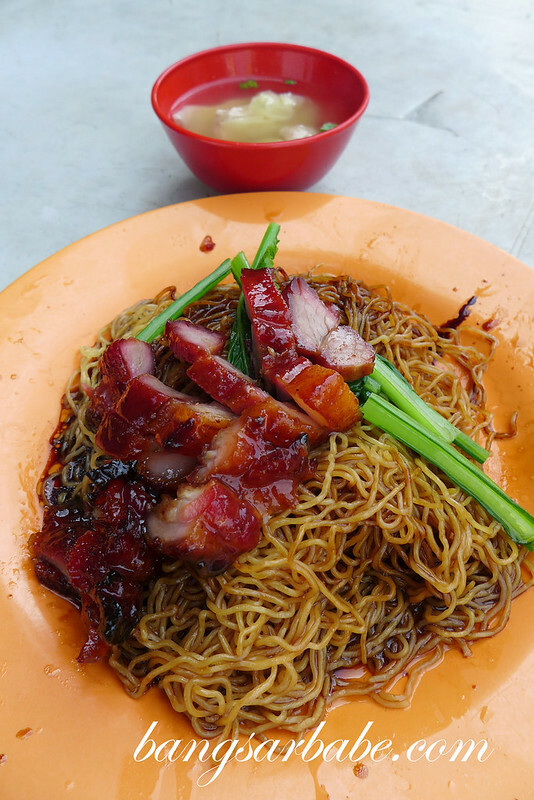 I prefer the wantan noodles at Meng Shiang to the one from Koon Kee. Try it for yourself! 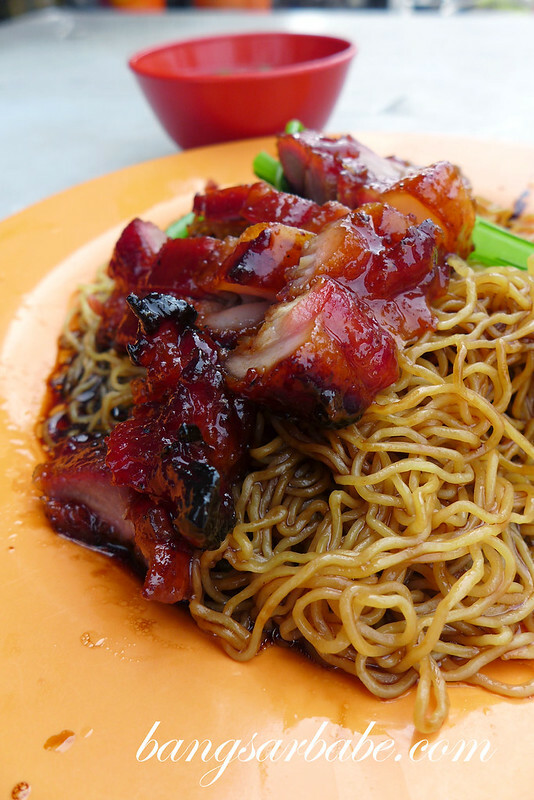 Verdict: Good char siew and springy noodles. The char siu look succulent! RM4.50 okay le…the char siu slices consider quite thick oso. wow interesting! 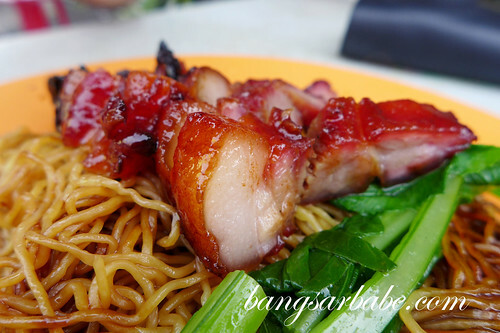 lovely char siew , pun fei shao sure must try one day! Just have it today and ta pao 8 packs for my staff. will get addicted lo! 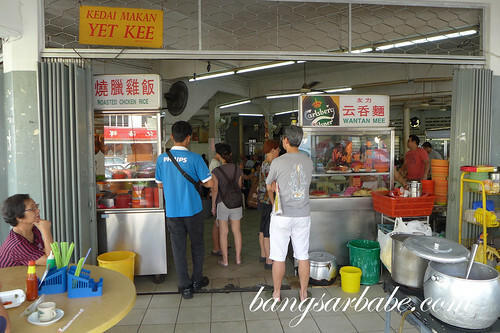 The wan tan mee stall had moved from Meng Shiang but dunno whr did they moved. Any idea? They moved to Lorong Durian, Taman Cheras.